The U.S. Food and Drug Administration (FDA) has recently discouraged the use of power morcellators in certain surgical procedures. These medical devices have been linked to spreading cancerous tissue, and the resultant development of advanced and lethal cancers. If you have been diagnosed with cancer after receiving a minimally invasive hysterectomy or myomectomy using morcellation, you may be able to recover compensation for the harm and injury you have suffered. To find out if you may have a claim related to an injury or the spread of cancer caused by a power morcellator, please call McWhirter, Bellinger & Associates, P.A., for a free case evaluation at 888-353-5513. In April 2014, the FDA issued a warning, stating that when laparoscopic power morcellators are used during a hysterectomy or myomectomy for women with uterine fibroids, the morcellator can cause the cancerous tissue to spread to other parts of the body. The FDA said the devices should not be used for hysterectomies or myomectomies, but has not forced their removal from the market. Johnson & Johnson (J&J) is one of the largest makers of these devices, and, following the FDA warning, J&J has suspended worldwide sales of their laparoscopic power morcellators, namely the Gynecare Morcellex Tissue Morcellator, the Morcellex Sigma Tissue Morcellator System and the Gynecare X-Tract Tissue Morcellator. Like the FDA, they have not forced the removal of existing devices from the market. Some hospitals have stated they will stop using the devices immediately. A number of hospitals across the country are equipping operating rooms with da Vinci surgical robot devices. Using the da Vinci’s robotic arms, a surgeon inserts instruments into the body to perform hysterectomies, gall bladder removal, and other procedures. While the da Vinci robot is supposed to make surgery less invasive, a startling number of reports are flooding into the FDA from patients claiming their devastating injuries were caused by the robotic device. If you have been injured by the da Vinci robot, or if your loved one was injured or killed after a da Vinci surgery, please call the South Carolina defective product lawyers at McWhirter, Bellinger & Associates, P.A., at 888-353-5513 for a free case evaluation. At the beginning of 2013, the FDA took a special interest in the rising number of adverse-event reports filed because of da Vinci-assisted surgeries. In the last couple of years, these adverse-event reports skyrocketed. Reports filed since early 2012 included at least five deaths. The adverse events reported to the FDA cannot conclusively prove the da Vinci robot is the cause of the adverse event, but the reports can signal to federal regulators that there may be a problem and that it may be a defective medical device. 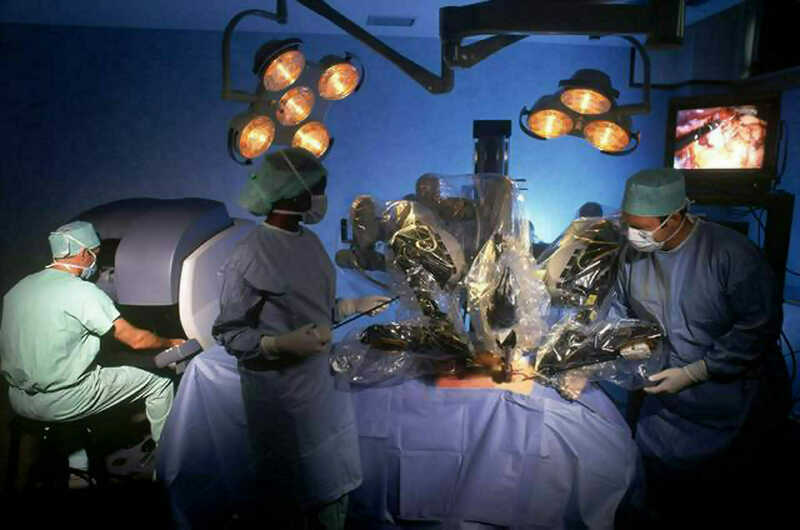 The FDA continues to monitor these reports and has conducted extensive surveys of surgeons who use the robot, asking them about complications they have witnessed and training they have received, among other questions. The da Vinci surgical system uses robotic arms to perform surgery. The surgeon stands at the da Vinci’s computer monitor, where he or she can control the tiny surgical instruments at the ends of the robotic arms. The surgical area is magnified on the computer monitor. Recent reports point to burns caused by micro-cracks in the casing that holds the surgical instrument. The micro-cracks may allow the electrical current to leak out, burning surrounding tissue in the patient’s body. The surgeon may not notice the tissue is burning if it’s happening outside of the area displayed on the computer monitor. Women who have received these minimally invasive procedures using morcellation are electing the procedures because they are supposed to involve less pain and a shorter recovery than traditional surgery. Unfortunately, the morcellator devices may be causing a great deal of harm. When the device slices and removes fibroids, it may be dispersing the cancerous tissue elsewhere in the abdomen, which is what is thought to be causing cancer after these procedures. Although the FDA has issued its warning since the number of adverse-event reports skyrocketed for these devices, the warning comes after many women have developed life-threatening cancer that may have been caused by morcellation. If you are one of these women, our attorneys have the experience necessary to aggressively represent your claim. If you believe the development of your cancer began with surgery involving a morcellator, please contact McWhirter, Bellinger & Associates for a free case evaluation. We are currently reviewing these claims in Camden, Sumter, Orangeburg, Lexington, Columbia, Newberry, and Aiken, South Carolina.